KAMPALA A cabinet meeting chaired by President Yoweri Museveni, on Monday, commiserated with families of the St. Bernard’s ss Mannya, Rakai victims. The government vowed to bring perpetrators of the arson, which killed ten students, to book. 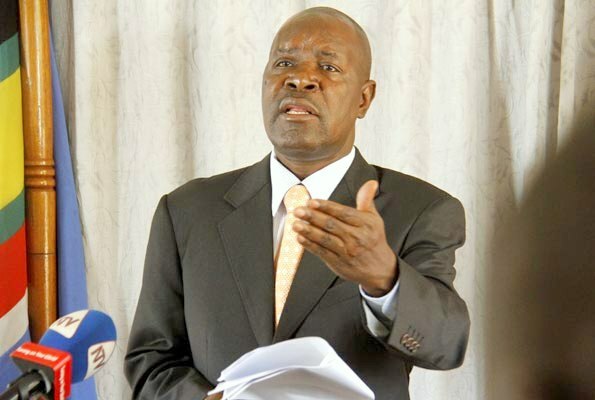 Ofwono Opondo, the Government spokesperson told this website that said ministers were also briefed that special investigations were underway. 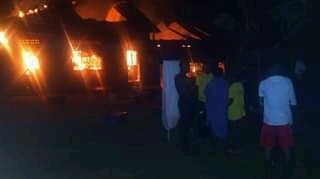 Mr Opondo said investigators are at the scene to establish the perpetrators behind the fire, which gutted a dormitory at St. Bernard’s Mannya Senior Secondary School in Kifamba Sub-County, Rakai district, on Sunday night. “Cabinet sat on Monday at State House, Entebbe and commiserated with the families which lost their children in the fire that burnt down a dormitory at St. Bernard’s Mannya Senior Secondary School in Kifamba Sub-County, Rakai district,” he wrote in a statement adding that investigations were ongoing to bring to justice the perpetrators of the crime. Police said the fire that killed at least 10 students, started a few minutes after midnight. PML Daily learnt that over 30 other students were badly injured, while others escaped with minor burns. Police said, a former student of St. Bernard’s Mannya SS has already been arrested, in connection with the school fire to help with the ongoing investigations. 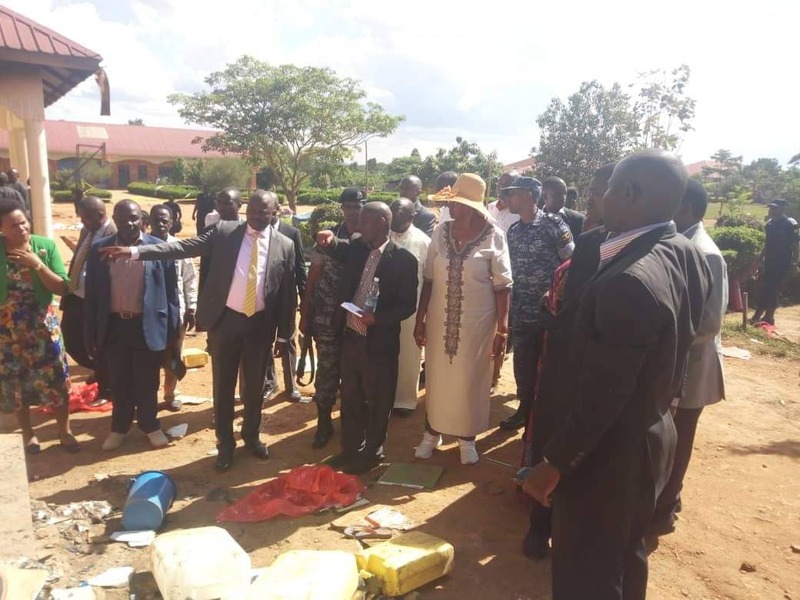 The education minister, Janet Museveni, Security minister, Gen. Elly Tumwine and Internal Security Organisation (ISO) chief, Col. Kaka Bagyenda, also visited the school on Monday to assess the situation. The deceased mainly of S.3 include Charles Ssuuna, 16, Sam Nsubuga, 15, Tomity Bukenya, 16,Geoffrey Lutaaya, 21, Remegious Tamale, 16, Antonio Ssekitende, 15; Hudson Byamukama, 22, Emmanuel Kasozi, 15, Sharif Dodiye,15 and Maurice Basiita, 15.